Like most women, I know that a well put together face is all about the brows. My journey to having fab brows has been a rough road, but I'm always game to learn tips and tricks along the way. One of my favorite Tumblr pages, MsDanti, is always blowing me away with her flawless makeup and enviable brows. Recently she started a YouTube channel, and although she only has 2 videos posted, one shows her everyday makeup look -- featuring her famous brows that I was excited to give a try. I've always shied away from using concealer on brows, but was well aware of how popular the technique was. I found myself with some time on my hands Saturday night, and before washing my face for bed decided to see if I could work the concealer magic on my brows. Since it was the wee hours of the night my goal wasn't to create a fully made up face, but I wanted to see what results I could get with a little concealer and my brow pencil. It's safe to say that I was super impressed by how amazing my brows looked! I think this will be my new go-to application method. 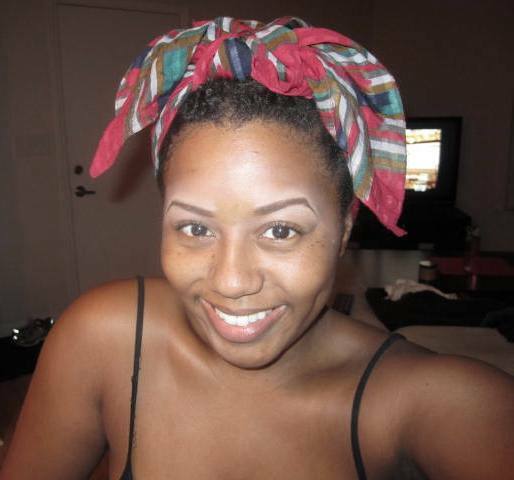 I was so in love with my brows that I refused to wash my face for a few more hours... just wanting to soak in the fabulousness of it all lol... slightly corny, but I was enamored by them. I'm excited to see how this method looks completely blended and with the rest of my face done... but in all honesty, just having my brows, lip gloss, blush, and mascara could be a nice daytime look.